A new book aimed for potential entrepreneurs and business people has been written by Galway's Bernard O'Hara. Published by Gill and Macmillan, the book entitled Entrepreneurship in Ireland reviews the current enterprise environment in Ireland, focusing on research, development, innovation and the ‘smart economy’, as well as relevant state agencies..
Bernard O’Hara, who is the former registrar of Galway-Mayo Institute of Technology, boasts a long record of involvement with industrial, commercial, professional and cultural organisations in the west of Ireland. 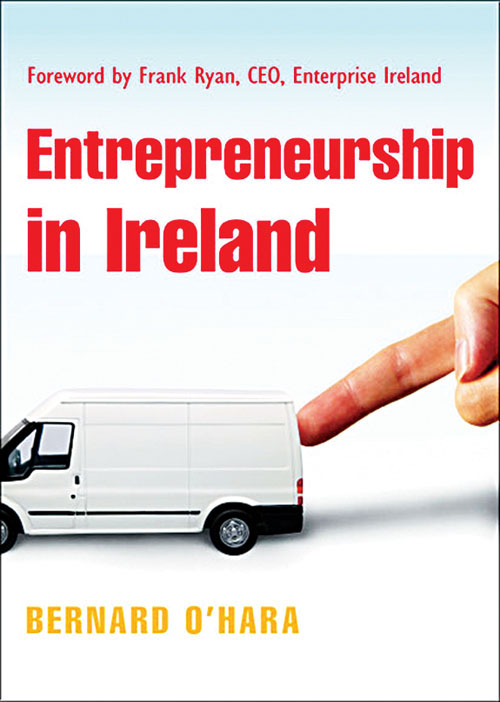 The book is aimed at students of entrepreneurship in institutes of technology and universities, as well as people starting and managing their own businesses. It explains the concept of entrepreneurship and explores the main sources of business ideas. There are also chapters on various types of business organisations, marketing, finance, taxation, operations, staffing, start-up, growth, options for insolvent companies, as well as exit strategies and the principles of business management. Mr O’Hara was president of Galway Chamber Of Commerce and Industry during its bicentennial in 1991/1992.